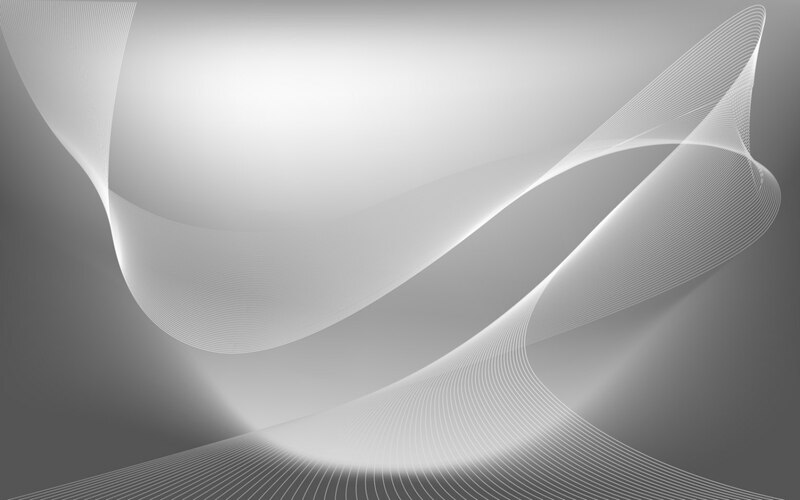 Here is a example newsletter on the Web. The email version would look exactly the same but have the extra unsubscribe info at the bottom. Can I import my existing mailing list? Yes! Or we can do it for you. Can I have my own library of articles? Absolutely - you can add articles to your library and include them in your newsletter. Can I send newsletters more than once a month? No. While it would be technically easy to do, we feel that once a month is the most effective frequency. However, you can send email whenever you like. Can I see and customize the newsletter before it is sent? Yes! For the whole month before the newsletter is sent, you can preview it online (and make adjustments). 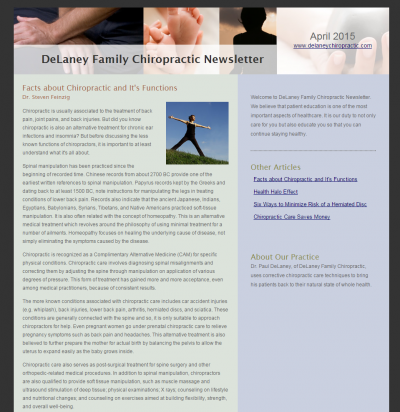 Newsletters for ChiropractorsKeep in touch with your patients. Give and you shall receive: by giving your patients valuable health information in a monthly email newsletter, you keep your clinic's name in front of your patients and enhance your credibility as a health care provider. Sending a high quality newsletter every month can be a suprisingly large amount of work, which is why our newsletter service is completely automated. Every month, we select a timely topic for the newsletter and choose relevant articles and graphics, so you don't have to. For example, the May newsletter topic could be "Allergies". We even send it out for you at an optimal time in the beginning of the month. Of course you can customize your newsletter too - add your own articles or select articles from our Chiropractic Health Article Library. The newsletters are designed to match your website so you can present a consistent image to your patients. The newsletters are also integrated into your website, so people can view them directly from your website as well as subscribe. The email newsletters adheres to the law regarding junk email - every single newsletter has a one-click unsubscribe button at the bottom. If someone does not want to receive your newsletter, they just have to click on the link once to be removed forever. We send your newsletter using our industrial strength mail servers to ensure delivery. Unlike Internet Service Providers and free email services, there are no limits on how many emails you can send at a time. We also use "multi-part" emails so that each email is sent in both HTML and plain text format, which helps get your newsletter into your patient's inbox. You can't even send this type of email with email clients like Microsoft Outlook. Our newsletter system also lets you send out email to individuals or your entire mailing list at any time using the same industrial strength tools.